A mirage of instrumentals and featured joints, Without Hope is structured in a way that alludes to Madlib’s Mind Fusion series. The first ten tracks are original productions, while the remaining fifteen are remixes. That makes Without Hope a comprehensive 25-tracks long meaning it’s nearly thrice the size of your favorite hip hopper’s debut album. 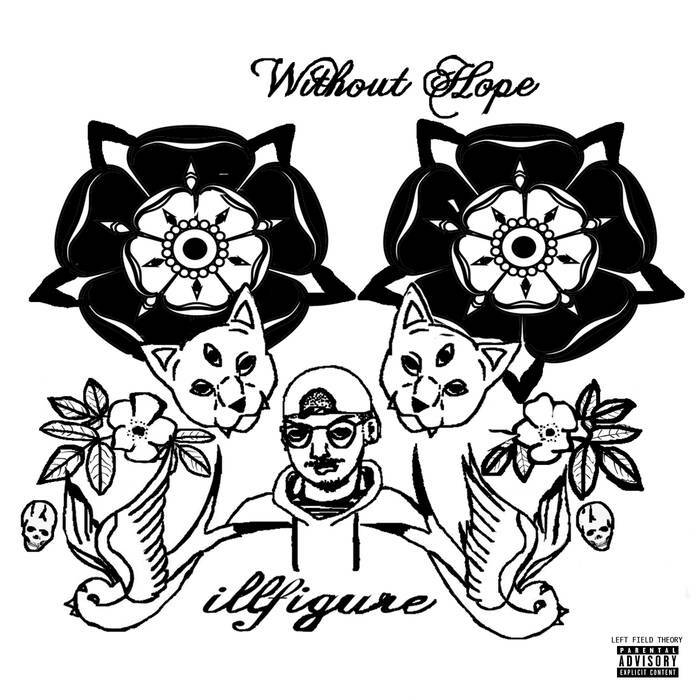 The project’s title is illfigure’s way of acknowledging that, without hope, he would never have been able to achieve the level of artistic success he enjoys today. That being said, such success leaves illfigure far from sated. Looking to revisit the recognition he received for his debut compilation EP Mindful But Inactve, illfigure has enlisted features from ten fellow creatives. Ny Odus lends live horns and Yeung-Human delivers dynamic drums and bounding bass lines. Vocally, we get features from fellow Left Field Theory members Blue November and Solis in addition to some dreamy melodies from AE and a verse from personal favorite Crosby amongst others. The features are all within the first third of the project, the originals. The remixes offer illfigure’s production the opportunity to shine on their own merit. And shine they do. Whether it be the ethereal dance track with haunting vocals that is “time to shed some skin” or “secret place (the mind),” a meditative exploration of the boundaries of the synth, the instrumental tracks unassumingly steal the show. Press play and get familiar with the hip hop of tomorrow compliments of illfigure.